Home / Movie Reviews / Maari 2 movie review. Dhanush left the car in the first part of the movie, which is the sequel of the film, giving the auto to the tip of the tip and heats it as usual. Robo Shankar and Vinod are always Dhanush's friends. Sai Pallavi will love Dhanush, Rudy Baby is dancing and she is coming around. Dhanush's close friend Krishna Krishna Dhanush comes from the drug dealer and leaves the job and joins Dhanush. A meeting to kill Dhanush and another meeting is trying to separate Dhanush-Krishna. Dovin Thomas, who is in jail on the other hand, is waiting for Dhanush to take revenge. 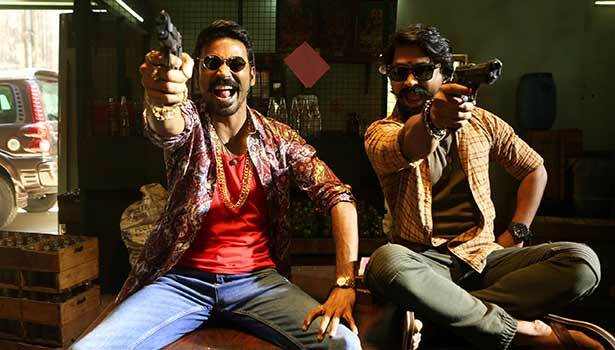 Dovin escapes from jail and plans to kill Dhanush. Dinush will divide both Dhanush and Krishna through the brother of Krishna to kill Dhanush, Dinosh checks out. There is also a tinge that comes to save Dhanush. Dhanush goes with him to save Sai Pallavi. In the meantime, Dvino is looking for a big dad and trying to get involved in politics, Vallalakshmi searches for Dhanush. In the end, Vallalakshmi found Dhanush? Dhanush, what happened to Sai Pallavi? How did Dhanush deal with his problems? Dhanush returned to his old farm? This is the legacy of the slippery mare. Dhanush is in the breast of the breasts. Like Marie was in the first part, he is also mixed. The first half is marijuana and comes in the normal appearance in the second half. Sai Pallavi has become a local girl in the role of Dhanush Kalai. Dhanush - Sai Pallavi - The bunch of cabbage casts the audience. The small character is acknowledged to be acknowledged by the irrevocable wardrobe. He has played the best in the role that he gave. Krishna has acted without Dhanush's friend. You have to say that there is no role to say. Dovin Thomas intimidated in villains. The dispute between Dhanush and Dovin was pleasurable. Robo Shankar and Vinod have joined hands with comedy. Other characters like Kali Venkat, Stunt Silva and Vidya Pradeep have also helped the storyline. Balaji Mohan, director of Dhanush in the first half, has to say that he has cheated fans in the second half. The other way to show Dhanush in the old form is special. The film would still be exciting if the screenplay was reduced to unnecessary scenes. Otherwise, all the characters have worked well. Yuvan Shankar Raja is the music of all songs. The background music is also blended. The scenes in Om Prakash's camera are great.